Born in Upsala, Ontario, Rebecca Belmore attended the Ontario College of Art and Design in Toronto. 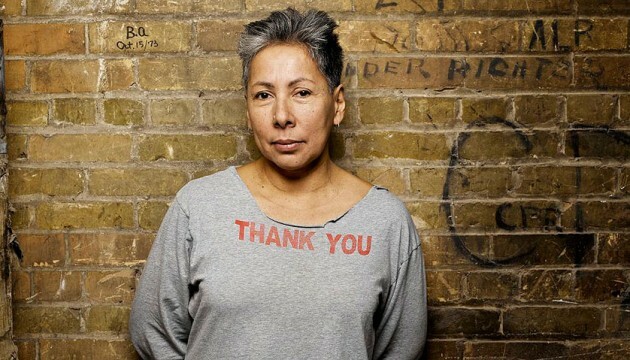 In 1993 she moved from Toronto back to her family’s home territory in the Sioux Lookout area of Ontario, marking the beginning of an intense search to gather knowledge of the land, the language and the history of the Anishinabe people that she felt she’d missed. Rebecca Belmore currently lives and works in Winnipeg, Manitoba.